The issue with multiples is that each component is relegated to a role of supporting the larger mass of objects. This greater whole (made up of lots of smaller pieces) makes it’s own larger statement, which has a tendency to shift focus and unique individuality away from any singular object/image. In an odd way, the idea has Marxist notions of the mass proletariat efforts to create a unified society, which is expounded upon by Walter Benjamin regarding mass production in a capitalist economy. For several of these reasons (and just to be ornery) I chose the recognizable iPhone 3 Earbuds: these notoriously mediocre earbuds start with “i,” which stands for individual, intelligent, and several other things which are not really apparent in the object. 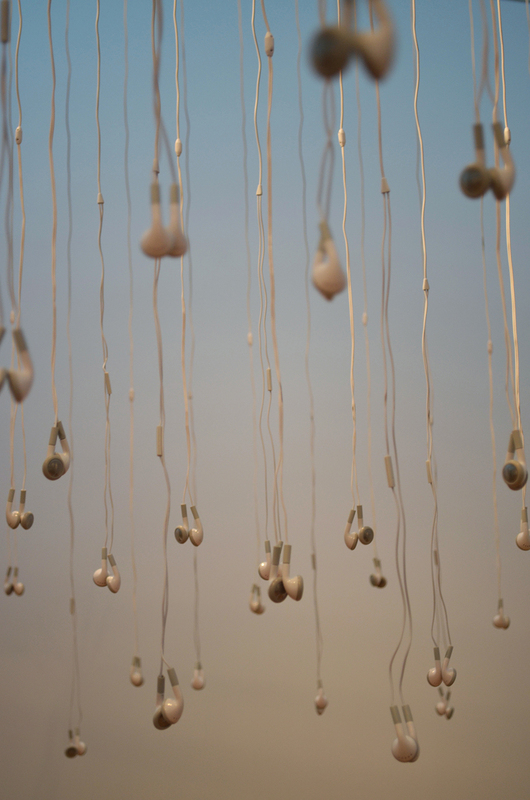 By taking the earbuds out of context and using 100 of the small components to act as 200 tiny speakers they contribute to a larger whole rather than acting solely as individuals, thus creating an effect that extends far beyond visual impact as their sound permeates the entire exhibition. The sound is a Shepard Tone, which is considered an ‘auditory illusion’ as it sounds like it is continually falling without ever reaching the bottom, a constant decline. 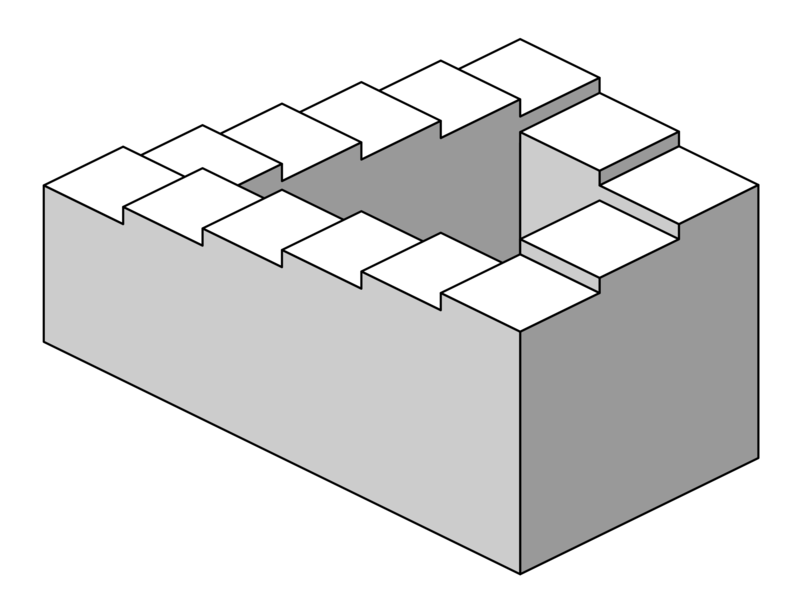 It is often compared with MC Escher’s infinite staircase. In the piece I enjoyed setting up a ‘gate’ that people must walk through under the speakers in order to experience the shifting sounds. iComm can refer to several things: (i)ndividual (Comm)unism, (i)ntelligent (Comm)and, (i)nternet (Comm)erce, and /or (i)ll (Comm)unication –which is a good Beastie Boys album. 08 Aug	This entry was published on August 8, 2013 at 2:52 am. 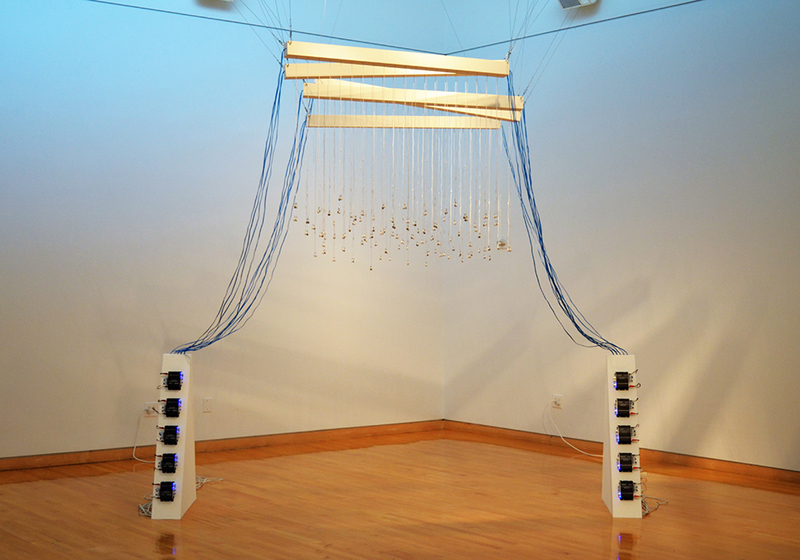 It’s filed under Art, Events and tagged art, collin college, culture laboratory, flow, iphone earbuds, ryder, shepard tone, sound, sue anne rische. Bookmark the permalink. Follow any comments here with the RSS feed for this post.